To extend your organization’s ability to improve clinical workflow and business operations, Henry Schein Medical Systems maintains alliances with third-parties. The applications, services and devices these companies provide complement MicroMD products to suit a range of needs. AutoRemind develops affordable fully automated reminders, delivered via voice/email/text, that will improve your operations, increase revenues and reduce costs. Demandforce� is your complete marketing automation software that offers efficiency in your practice from beginning to end. Our platform is perfectly tailored for your medical practice. All of our call, text, and email systems are HIPAA compliant, ensuring your patient’s data is always respected and protected. Demandforce helps you attract new patients and retain existing patients through proven marketing methods. Our cloud-based software has the capability to streamline your marketing and communications efforts and shift your practice into the digital age. Our platform augments your patient outreach through segmented email campaigns, automated appointment reminders and online reputation management. To learn all about how Demandforce can improve your business, contact us at (877)360-3869 or click here to schedule a live demo. Alveo, formerly ECP, accelerates healthcare claims, quickly identifying disconnects, and resolves obstacles to accelerate your reimbursement. Seamlessly processing millions of transactions monthly, Alveo integrates with hundreds of Henry Schein MicroMD practices. As a Cognizant Company, TriZetto Provider Solutions® truly is more than a clearinghouse. TPS leverages industry-leading solutions to provide comprehensive revenue cycle management services to help organizations with billing, analytics, appeals, clinical integration, digital patient engagement and more. Our collective expertise and global reach in healthcare technology allow for endless possibilities as we work together, with our clients, to transform healthcare. Availity RCM delivers revenue cycle and related business solutions for healthcare professionals who want to build healthy, thriving organizations. Availity RCM has the powerful tools, actionable insights and expansive network reach that medical businesses need to get an edge in an industry constantly redefined by change. A leader in population analytics, Persivia’s clinical decision support system, driven by the Soliton ® AI engine, delivers real-time, evidence-based alerts, guidelines, and protocols to close care gaps and improve quality measure scores. Persivia supports MIPS, CPC+ and other APMs, and helps providers identify service gaps to improve patient care and practice revenue. VisualDX is an award-winning diagnostic clinical decision support system that has become the standard medical professional resource at more than 50% of U.S. medical schools and more than 2,300 hospitals and clinics worldwide. VisualDx combines problem oriented clinical search with the world’s best curated medical image library, plus medical knowledge from experts and sophisticated machine learning algorithms to help with differential diagnosis, variation, treatment, and patient communication. Our mission is to improve healthcare decision making and reduce diagnostic errors. TSI (formerly Transworld Systems) increases cash flow for healthcare organizations by providing them with better tools for managing and quickly resolving past-due accounts receivable. Asigra: Trusted since 1986, Asigra provides organizations worldwide the ability to recover their data now from anywhere through a global network of partners who deliver secure cloud backup and recovery services as public, private and/or hybrid deployments. Asigra’s Recovery License Model provides affordable data recovery unlike any other solution. Identity Guard® provides identity theft protection and data breach solutions that help organizations prepare for a data breach and protect their customers and employees. For over 22 years we have protected more than 47 million customers and resolved more than 130 thousand cases of identity fraud. 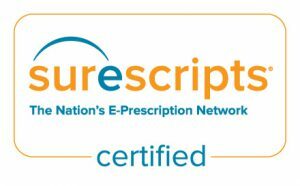 Surescripts: Improve safety, efficiency and quality of the prescribing process. Facilitates the secure electronic transmission of prescription information between physicians and pharmacists and works collaboratively with technology vendors and others. Topaz Systems is a leading developer and manufacturer of electronic signature software and hardware, and has been based in Simi Valley, California since 1995. Topaz provides all the hardware, software, intellectual property, and expertise to enable paperless document creation, signing, and authentication of electronic forms with digital handwritten signatures. dashboardMD provides a turn-key Business Intelligence Reporting Suite which includes Scheduled Reports pushed via email, Daily Dashboards, Scorecards, Alerts and an industry leading Ad Hoc Analysis Tool. Medical Guardian powered by Data Guardian Pros gives your practice easy, organized and auditable tools to be and stay compliant with HIPAA. Incorporates all regulatory requirements including training, risk assessment, privacy impact assessment, compliance plan, policies & procedures and other supporting documentation. This self-paced tool adapts to meet the needs of your practice in an easy-to-understand format. In addition, Medical Guardian provides 24/7 monitoring of your practice’s network to identify immediate potential threats. Medsys Consulting, NE Ohio practice consulting, provides outsourced medical billing services and consulting to medical practices with the latest reimbursement strategies, information and services available to the healthcare industry. DoctorsManagement, National complex large practice consulting firm, has helped physicians in all specialties with health care, dental and medical practice management services in virtually every state across America. With our healthcare and medical consulting firm’s help, you become free to concentrate on your life’s work AND your life outside of work, as well. Fletcher-Flora Health Care Systems, Inc.: Industry leader in laboratory information system (LIS) technology solutions. Applications includeFFlex eSuite™, a comprehensive Web-based LIS, and FFlex eLink™, middleware connectivity software that integrates clinical instruments with EMR systems. Laboratory Corporation of America: Clinical laboratory services. Simple demographic exports, test results viewing and other features are integrated within MicroMD. Quest Diagnostics: Diagnostic testing, information and services. A variety of diagnostic and laboratory services are supported by several Quest-to-MicroMD products, including simple demographic exports and Quest lab results viewing. Cardiac Science: A family of advanced diagnostic and therapeutic cardiology devices and systems. The devices connect with hospital information, EMR and other information systems. Midmark Diagnostics Group: Integrated digital diagnostic devices for ambulatory care. Welch Allyn: Medical diagnostic equipment, cardiac defibrillators, patient monitoring systems and connected solutions. EMR-connected multiparameter vital signs and monitors help enhance caregiver workflow and improve patient outcomes. Vivify Health empowers practices to drive patient engagement and adherence to population health and CCM care paths, remotely identify opportunities for timely clinical intervention, and track and report on every second spent reviewing clinical information to help boost CCM billing reimbursement by as much as $40 to $90 per eligible patient per month. PDR® Network, LLC is the leading distributor of FDA-approved drug labeling, safety and REMS information, patient support programs delivered to providers within their EHR workflow. MedicScan®, powered by Acuant, is integrated into MicroMD for greater efficiency in the patient registration process. MedicScan eliminates the need for manual entry by allowing you to simply scan the patient’s driver’s license and insurance card(s) to auto-populate MicroMD’s demographic and insurance screens with the patient’s information and picture. Combining the flexibility and control of MicroMD’s PM with the speed and simplicity of urgiCareMD, our SaaS-based EHR clinical display and documentation solution, connects you to a seamless workflow and enhances your ability to care for patients efficiently and on your terms – all while reducing administrative headaches. Especially designed to meet the needs of urgent care clinics, urgiCareMD was developed by Edaris Health for Henry Schein MicroMD. 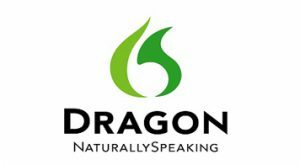 Dragon® Medical Practice Edition helps clinicians – including physicians, nurses, nurse practitioners, physician assistants, therapists, and other care providers – efficiently navigate and dictate medical decision-making and treatment plans directly into a patient’s electronic record. RevSpring is the leading provider of patient-centric multi-channel communications that enhance the patient experience while delivering improved revenue cycle performance. We optimize patient communications through data analytics, dynamic color statements, integrated eStatement delivery, interactive telephony technology, online registration, e-billing and payment portals. To learn how you can become a Henry Schein Medical Systems strategic partner, inquire here.